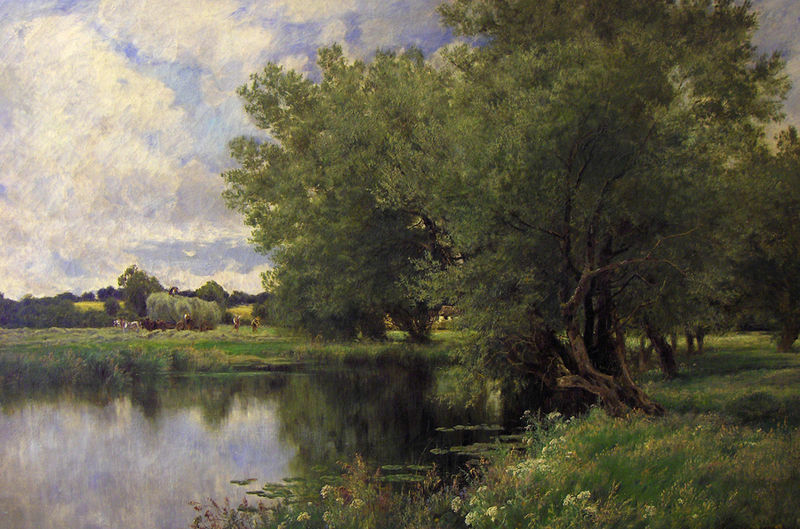 Throughout history the Thames as been an inspiration to many. JMW Turner travelled extensively throughout his life but returned time and time again to paint and draw scenes of the Thames. Turner was renowned for drawing from the Thames diverse vistas, its beauty in the west, to the heartland of London and its former docks. Turner was amongst the first to pioneer painting directly from nature, turning a boat into a floating studio from which he sketched the Thames. Frank Runacres, a well known painter (1904 to 1974) produced pictures in both oil and watercolour. 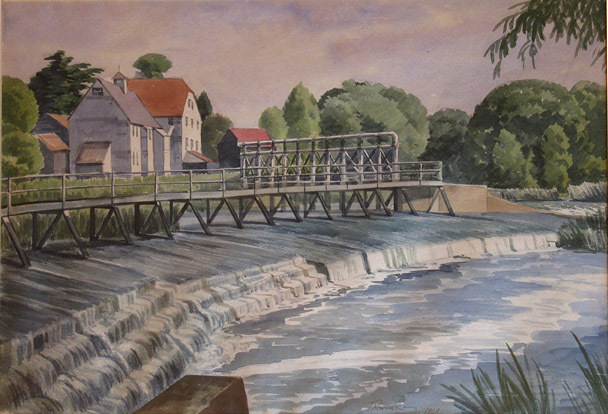 He produced a range of colourful and warm pictures many of which included the Thames, ‘Hambleden Weir’ produced in 1946 sits a couple of miles upstream of Bisham Abbey. In 1974 he exhibited at New Cavendish Street London where a selection of his works were selected to demonstrate his assured technique, originality of composition and dazzling colour combined to create a warm and gay atmosphere, leaving an impression of youth, freedom, and happiness. Some of the works are listed here: Richmond Bridge, Summer Afternoon on the Thames, Riverside Café, Waiting for the Boat, Thames-side Scene, Riverboat and Birch Tree, Mill on the River, The Mooring by the Bridge – Richmond. 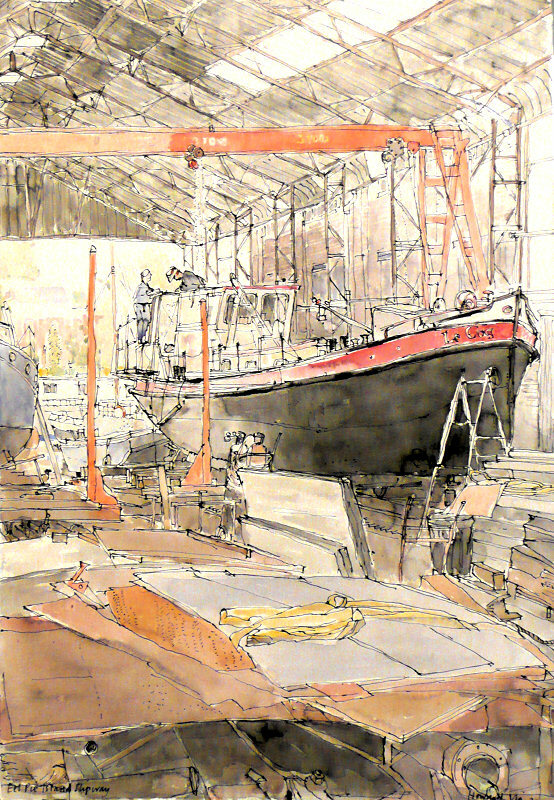 Now we find artists of all backgrounds using the Thames with it’s built and marine architecture an inspiration. The Wapping Group was formally founded in 1946 and initially met to record the busy life of London's dockland. Since then, the range of locations has widened in response to the changes of The Thames. 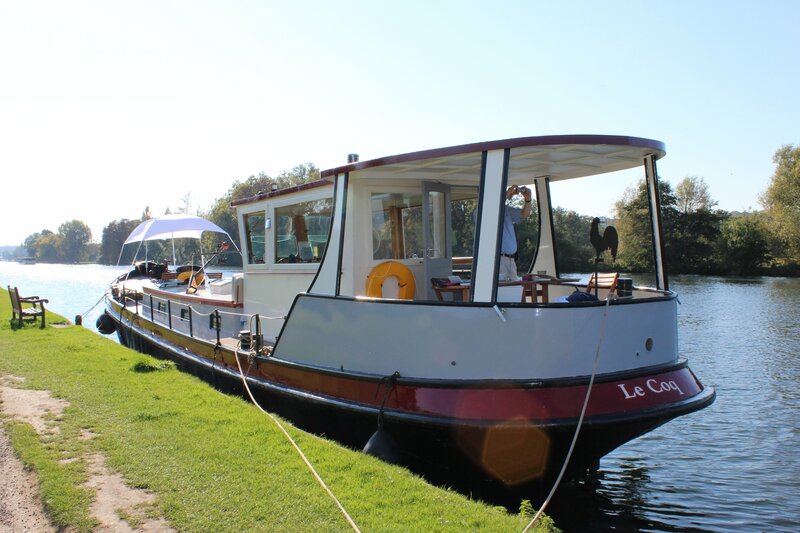 Throughout the spring and summer the group may now be found in any weather at a rendezvous anywhere from inland Henley to the Thames Estuary. This companionable band of just 25 dedicated and capable painters maintains the original group aims of fellowship and enthusiastic recording and interpretation of the River. The group includes the artist Ronald Maddox PRI, Hon. 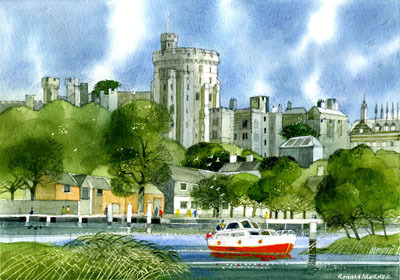 RWS, FCSD who produced this wonderful impression of Windsor Castle from the River Thames in watercolour. 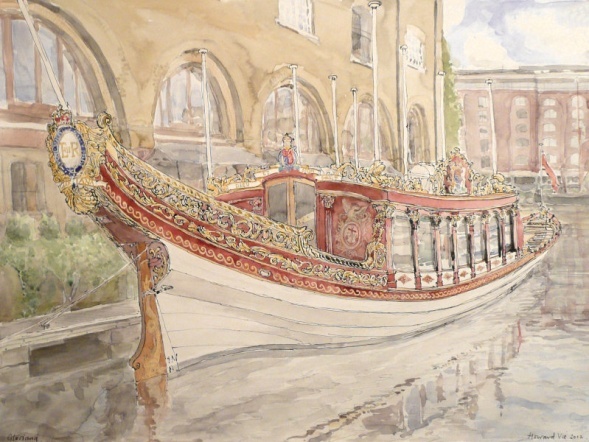 Howard Vie, an artist from Richmond on Thames, using a blend of ink and watercolour, specialises in architectural illustrations and has produced work which includes both the Queen’s Row Barge “Gloriana” and our Dutch Barge “Le Coq”, on which our art cruises are held.